The automotive industry as a whole ranks tops in “brand intimacy,” with Harley-Davidson, BMW and Toyota receiving top scores, according to MBLM. The Brand Intimacy 2017 Report is a study of brands based on emotions. Brand Intimacy is defined as leveraging and strengthening the emotional bonds between a person and a brand. According to the 2017 report, top-ranked intimate brands continued to outperform the S&P and Fortune 500 indices in both revenue and profit over the past 10 years. Harley-Davidson ranked third in MBLM’s 2015 report, but overtook BMW and Toyota this year. In addition to being the strongest intimate category overall, the automotive industry is also the top industry for males, those older than 35 and those with a higher income. The remaining brands in the top 10 for the industry are: Honda, Jeep, Chevrolet, Ford, Volvo, Mercedes and Chrysler. While ranking first, the category is showing some potential signs of slippage compared to the 2015 report. Auto recalls hit a record high of 53.2 million in 2016, topping the 51.1 million recalls in 2015. “As technology continues to disrupt the category in terms of car sharing, autonomous vehicles and electric/hybrids, it will be interesting to see which brands adapt best to the changing needs and priorities of their customers,” Natarelli says. Leading brands like BMW, Toyota and Honda strike a chord with customers through better (more reliable) performing cars and better service, delivering high-quality products that assure customers that their money was well spent, according to the study. 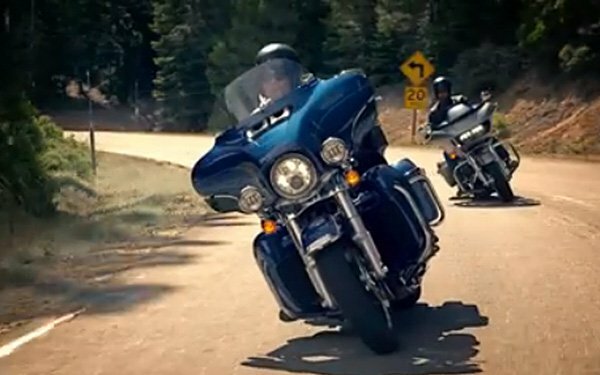 Harley-Davidson has had success in building and maintaining intimacy across multiple generations, placing in the top three for all age groups. Its ability to appeal to all ages is a sign of its strength as a brand. The top brand for Millennials is Chevrolet. Millennials have less intense feelings of intimacy for their top brands than the older groups. They are more comfortable with fully self-driving vehicles than consumers of other generations and would also be more willing to use car-sharing services if they were readily available. The report analyzed the responses of 6,000 consumers and 54,000 brand evaluations across 15 industries in the U.S., Mexico and UAE. Participants were respondents who were screened for age (18 to 64 years of age) and annual household income ($35,000 or more) in the U.S., and socioeconomic levels in Mexico and the UAE. Quotas were established to ensure that the sample mirrored census data for age, gender, income/socioeconomic level and region.